Epson EcoTank ET-16500 is a wide format printer, which can print, scan, copy, and fax the document from wherever you are. The printer falls under the category of a bulky printer with 23.16 kg and large footprints 666 x 486 x 418 mm. Yet, the printer is preferred for office tables due to its classic black colour. When functionality is the concern, this ET-16500 printer stands out due to its flexibility with multiple operating systems. The printer no longer follows the traditional ink cartridge system. To obtain crisp the printer incorporates PrecisionCore Printhead and Epson EcoTank ET-16500 Ink. Hassle free network connectivity is provided by Wi-Fi, and Wi-Fi direct for a direct connection to your device. Moreover, the Epson Connect allows printing from mobile devices and smartphones. The printer is flexible with Google’s Cloud Print service, one can directly print from Google photos; no matter where you are in the world. Of course, Wired connectivity is also there. One can plug the printer into your network via an Ethernet cable. The printer has a built-in SD card slot and a USB port for printing directly from media. Epson EcoTank ET-16500 is a multi-functional printer which is mainly designed for large format printing. The printer provides business quality printouts with good quality Epson EcoTank ET-16500 ink. Automatic document feeder, borderless printing, touchscreen LED display, wireless connectivity options are some of the core features of ET-16500 printer. This versatile printer is considered as an ideal choice for office work, where the printer is used for frequent printing and faxing task. How to stop noise after filling the Epson EcoTank ET-16500 ink for my printer? When you fill the Epson EcoTank ET-16500 ink tank for the first time, Epson product must charge its print head. Before you turn off the printer, wait until its charging is finished. Else, it may charge improperly and use excess Epson EcoTank ET-16500 ink the next time you turn it on. In case, the product’s print head stops moving or making noise and the charging process has not finished even after 15-20 minutes, turn off your printer. Restart your printer and check whether the charging is still in progress. If it’s still in progress, contact Epson support centre for help. How to fix paper feeding problems for Epson EcoTank ET-16500 printer? Remove the paper from the rear feed slot or cassette, if the paper does not feed for printing. Reload it and adjust the edge guides. In the rear feed slot, load only one sheet at a time. Also, make sure that the paper stack is not above the tab on the edge guides inside the cassette. Make sure to insert paper cassette into your printer. When multiple pages feed at once, remove all the pages, fan the edges to separate the sheets and reload them. Don’t try to reload more than the suggested number of sheets. The pages you are using should meet your printer specifications. If any paper jams when you print on both sides of the paper, try loading less number of sheets. For avoiding any issue, use new, smooth and high-quality paper that is not curled, too thin or too thick. Do not load any binder paper with holes present in it. Make sure to follow any special instructions that came with the paper. Q. Do Epson EcoTank ET-16500 printers always have to be connected to a computer in order to print? A. No, Epson EcoTank ET-16500 printers can directly connect to mobile devices via Wi-Fi, they also come with an SD card slot and a USB port for printing through external media. This printer allows users to print photos directly from their Google Photos from anywhere in the world and also has enabled voice activated printing through Alexa. Q. What is the shelf life of Epson EcoTank ET-16500 ink? A. If unopened, the ink in the Epson EcoTank ET-16500 ink bottles can remain in usable condition for at least 2 years. Once the ink bottle is open and if there is ink remaining in the bottle, it is advisable to use the ink within 6 months from opening the bottle. Q. I am looking to buy this printer. Are ink tanks a better option than using ink cartridges for the printer? A. You will not find any quality difference between the two. However, ink tanks contain more volume of ink and can print more pages than ink cartridges before the ink runs out. Epson EcoTank ET-16500 printers come with ink tanks that are capable of printing up to 4,000 black and white pages and up to 6,500 pages. You will need to use Epson EcoTank ET-16500 ink to refill the ink tanks. Here, you can find a list of compatible ink bottles for this printer. Q. What is the printing speed of Epson EcoTank ET-16500 printers? 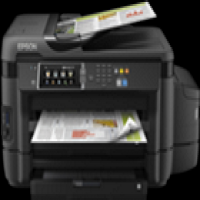 A. Epson EcoTank ET-16500 printers are moderately fast printers. They are capable of printing up to 18 black and white pages per minute and up to 10 coloured pages per minute. Q. I run a medium-sized firm. I am looking to buy compatible Epson EcoTank ET-16500 ink for my printer. Should I buy the ink bottles in a multipack or should I buy the bottles individually when a colour runs out? A. If you have high printing requirements, it is advised that you opt for a multipack containing all the colours, as they are way cheaper than buying each colour individually. For occasional users, it is advised that they buy the ink cartridges individually as the colour runs out because the ink may dry up if stored for a very long time.